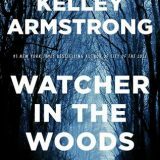 This Fallen Prey returns us to the remote town of Rockton, in Kelley Armstrong’s gripping Casey Duncan suspense series. Sheriff Eric Dalton and Detective Casey Duncan have their hands full when the Council has them babysitting a serial killer. Twists and non-stop danger had me reading into the wee hours. First, I must note that while this story contains its own mystery to be solved, the overall series arc, character buildup, and world demand that these books be read in order. 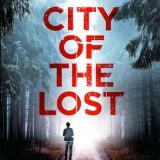 So if you haven’t run, don’t walk and grab the City of the Lost (currently on sale for $2.99). 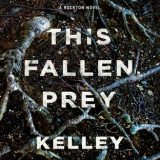 The third novel, This Fallen Prey releases in February 2018. City of the Lost by Kelley Armstrong is the first in the Casey Duncan series and delivered a quirky, intense, mystery suspense, thriller with a touch of romance. Come to Rockton, an off the grid community in the wilds of Canada where murder and things that go thump in the night will keep you flipping the pages.